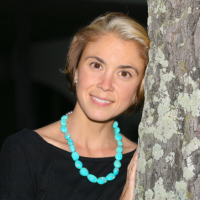 Dr. Allison Bachlet PhD, LAc, ND is a Physician and Professor of Biology and Nutrition in Honolulu, Hawaii. She received her Bachelor of Science in Nutritional Science from the University of Guelph (2000) and her PhD in Clinical Medicine and Nutrition from the University of Oxford, UK, where she was a Rhodes Scholar (2003). She completed her Doctorate in Naturopathic Medicine (ND) in 2007 and moved to Hawaii in 2009 to practice Natural Medicine and enjoy the sunshine! In 2010 she completed her Masters of Oriental Medicine and became a Licensed Acupuncturist in the state of Hawaii. Dr. Bachlet serves as the Pre-Health Professions Specialist at Hawaii Pacific University where she mentors and guides Pre-Medical and Pre-Health students as well as lecturing in Biology and Medicine. In her private practice in Hawaii Kai she focuses on gastrointestinal, endocrine and mental health. Daniel DeLapp, DC, ND, MAcOM, LAc earned his BS in Nutrition and Biochemistry in 1982 from the University of California-Davis, his DC degree from the Los Angeles College of Chiropractic in 1986, and his Diplomate in Orthopedics in 1989 from LACC. In 1996, he earned his MAcOM from Oregon College of Oriental Medicine, and in 1997, his ND from National College of Naturopathic Medicine. 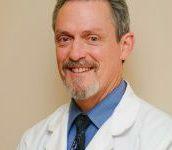 He is an adjunct faculty at National University of Natural Medicine, teaching minor surgery and dermatology, and has been a full-time clinician at University of Western States (formerly WSCC) for more than 25 years. Dr. Majid Doroudi, B.Sc. (PT), M.Sc., Ph.D. earned his B.Sc. in Physiotherapy in 1988, M.Sc. 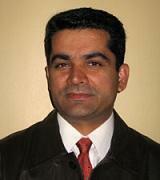 and Ph.D. in Anatomical in 1991 and 1995 respectively from Tehran University in Iran. 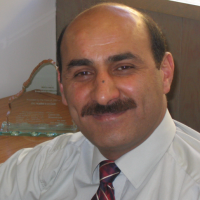 Arriving at University of British Columbia in 2001, Dr. Doroudi started his career as a sessional lecturer and then Instructor. He got his tenure position at UBC in 2008. 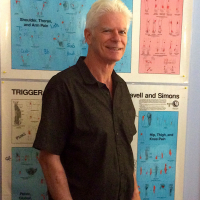 He has been involved in teaching medical and dental students as well as allied health such as nursing, midwifery, physical therapy, massage therapy for over 25 years. He has been able to successfully integrate the basic and clinical sciences throughout his career in teaching as an anatomical sciences instructor and in his practice as a physiotherapist. He has been awarded seven grants by Faculty of Medicine at UBC to develop integrated modules used by medical students in their curriculum. He is the recipient of Killam Teaching Award, the most prestigious teaching award in UBC, ten Medical Undergraduate Society Teaching Awards, and the Excellence in Teaching Award from the Faculty of Dentistry. He is the co-author of “M&M Essential Anatomy” text book. 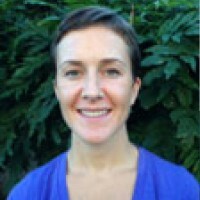 Magdalen Farley, is a Registered Massage Therapist (3000 hr program), based in Burnaby BC. Working as part of an interdisciplinary practice, Magdalen treats patients with all manner of ailments, including multiple sclerosis, adolescent scoliosis, neurological impingement syndromes and sports related injuries. She has a particular passion for women’s health issues. Magdalen also has a keen interest in research and education. She is currently employed by CDI College, running the graduating Clinical Case Study program, and teaching Professional Development. 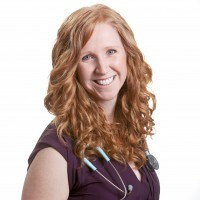 She served on the Board of Directors for the Registered Massage Therapy Association of BC for 4 years, advocating for RMTs and promoting the advancement of the profession in the province. Chris Hagey has been a Registered Massage Therapist for over 25 years since graduating from Canadian College of Massage and Hydrotherapy. Chris went on to both practice and teach in Ontario, Florida, and finally BC where he became the Director of Practical Education for the West Coast College of Massage Therapy. He currently runs somatic explorations, providing access to the human body for hands-on anatomy education. Having performed over 76 dissections and spent countless hours in the lab, Chris living his dream of being able to share the incredible mysteries found in the human body with all health care providers. Taunya MacDonald, RMT is a registered massage therapist, graduating from the 3000 hours West Coast College of Massage Therapy’s program. Previous her work experience has ranged from the bustle and repetition of being a waitress and bartender, to endless hours of sitting in a cubicle while working for a telephone company; both have provided useful insight into the different physical challenges patients face, and how their effects can be treated with manual therapy. Always a student favorite, she loves to learning, sharing knowledge, and empowering other people lead, becoming a teaching assistant for Professional Health Systems. She wants people to understand why they’re having a problem, and how to resolve it – to empower you to participate in Wellness. 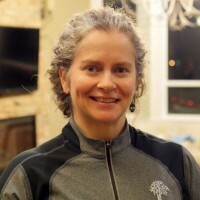 She uses a variety of techniques including the use of Instrument Assisted Soft Tissue Mobilization (IASTM), Rock Tape and a variety of other physical medicine modalities and postural retraining modalities. Dr. Marisa Marciano is Naturopathic Doctor & Registered Herbalist (AHG) with expertise in both the education and clinical applications of therapeutic nutrition & phytotherapy. 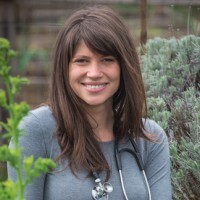 Her educational background includes an undergraduate degree in Kinesiology and medical training from a Naturopathic Institution where she is currently both a clinical and academic faculty member within the department of Botanical Medicine. Also recognized for creating the celebrated online herbal resource TheNaturopathicHerbalist, Dr. Marciano is considered a passionate educator who believes in empowering her patients & students to take a “hands-on-herbal” approach to both their health & their herbal education, and regularly runs herbal medicine making workshops aimed at fostering a deeper connection between people & plants.Her overall approach to wellness emphasizes the use of therapies inherently in tune with Nature, believing in the　body’s innate capacity to heal when provided with the ancient knowledge & foundational therapeutic potential of plant medicine in all its forms. 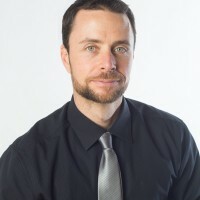 Nick Murray BHK, CAT(C) is a certified athletic therapist through the Canadian Athletic Therapists Association, and is currently the head Athletic Therapist for Douglas College. He completed his Bachelor’s Degree in Human Kinetics from UBC and his Advanced Certificate in Athletic Therapy from Mount Royal College. Nick has had extensive experience working with elite, national level amateur and professional hockey players. He has been the head athletic therapist of the Vancouver Giants hockey team in the WHL and worked with Hockey Canada at the IIHF U-18 World Championships and the Ivan Hlinka Memorial Tournament. He has also worked with the Vancouver Canucks of the NHL. Erin completed her Masters degree in Physiotherapy at UBC. After graduating, Erin worked on the acute neurological ward at Royal Columbian Hospital where she developed a passion for stroke rehabilitation. After gaining experience in the acute setting, Erin started working at a private neurological clinic in Vancouver, BC. Currently, Erin works at Abilities Neurological Rehabilitation in Surrey, BC. In addition to managing the clinic, she maintains an active caseload that includes adults and children with various neurological conditions. Her extensive work with individuals with brain injuries has motivated her to become educated in the area of vestibular rehabilitation. 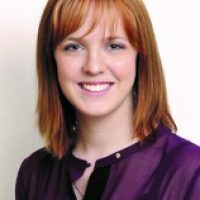 Erin is a trained LSVT BIG clinician and also has her acupuncture certification with the Acupuncture Foundation of Canada Institute (AFCI). Dr. Michael Tassone teaches Orthopaedic Testing and Physical Assessment, in addition to caring for patients at his West Kelowna practice. 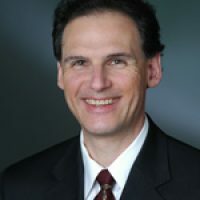 Teaching enables Dr. Tassone to give back to the community, as well as ensures that he is up to date on the latest research in order to provide the best possible care for his patients and instruction for his students. Dr. Tassone firmly believes in the principle “Doctor as Teacher” and as such, strives to parallel his approach to patient care in the classroom by acknowledging individual learning styles, fostering a positive learning environment, and creating empowerment through knowledge. Dr. Vargo, MD earned his medical degree from the University of Saskatchewan and honed his clinical knowledge while attending patients as an intern and a resident physician. He left medicine to pursue a career in the pharmaceutical industry as a scientific liaison, and there discovered a passion for education and research. 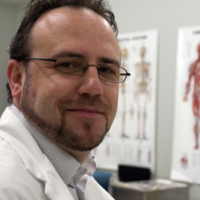 He has taught a wide range of disciplines – including nursing, massage therapy, university, and naturopathic medical students – and designed educational programs for primary care and specialist physicians. Dr. Vargo is committed to guiding students to become better critical thinkers and more proficient clinicians by clarifying the science of the human body in health and disease. 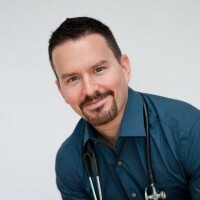 Outside of private practice, Dr. Nikita Vizniak has been a professional educator for ~20 years and is a lead instructor for the ProHealth seminars and the author of numerous text books and resources used around the world, including the best-selling ‘Quick Reference Evidence Based’ series of the ‘Muscle Manual, Physical Assessment, Orthopedic Conditions Manual, Extremity Manual, Spinal Manual and Physical Medicine.’ His writings have been translated into many languages and help 100,000s of students, clinicians and instructors apply clinical anatomy and assessment knowledge to sports medicine and differential diagnosis with best practices of integrated multidisciplinary patient treatment. 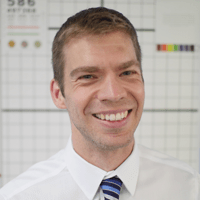 Dr. Vizniak loves teaching and empowering students with skills and confidence, he focuses on methodology that results in accurate assessment for more effective treatments (‘Achieve clinical excellence by working smarter not harder’). Here is his CV.